Problem: Cardinal Health had to significantly improve their failure investigation success rates, and the company needed blended training to achieve that goal. Trouble-shooting can be difficult, and training how to troubleshoot can be equally challenging. Solution: Events Online conducted a needs assessment, then designed and developed a blended, performanced-based training solution to teach failure investigation to Cardinal Health engineers. 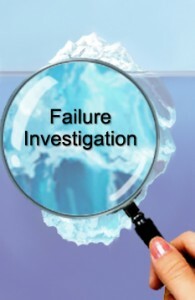 The failure investigation course starts with web-based training on the fundamentals, and culminates in a two day, hands-on workshop that uses case studies to simulate the failure investigation experience. During the workshop, learners examine failed parts, review relevant data, and work with analysis tools. They develop test plans to prove theories, and identify the root causes of the case study failures. This course is popular among Cardinal Health engineers because they apply what they learn during the course.